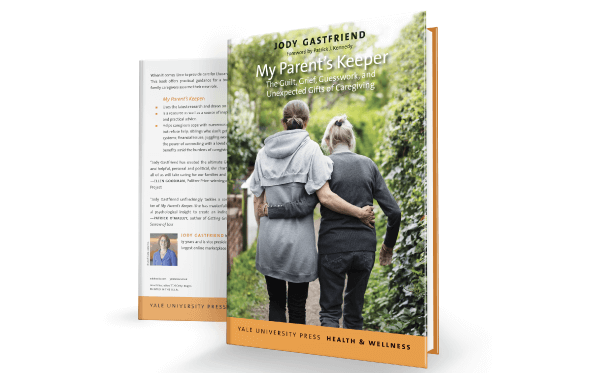 My Parent’s Keeper: The Guilt, Grief, Guesswork, and Unexpected Gifts of Caregiving, by senior care expert Jody Gastfriend, provides fresh, provocative and ultimately optimistic insights into the experience of caring for an aging parent or family member. Using the latest research and drawing on case histories and poignant interviews, the book is a resource as well as an inspiration for family caregivers. The book combines powerful and relatable stories illustrating a broad range of caregiving challenges. For many, the transformational life passage of caring for an aging parent, along with the pain, can bring simple pleasures and a deeper appreciation of one’s own aging. Jody Gastfriend, LICSW is the Vice President of Senior Care for Care.com, the world’s largest online destination for finding and managing family care. Jody is a licensed clinical social worker with more than 30 years of experience and has held a wide range of leadership positions in health care and business settings. A featured senior care expert for NBC News, Fox News, AARP and The Wall Street Journal, Jody has published numerous articles on caregiving and aging. Jody’s book, My Parent’s Keeper: The Guilt, Grief, Guesswork, and Unexpected Gifts of Caregiving, published by Yale University Press, is an essential guide to caring for aging and ailing family members.